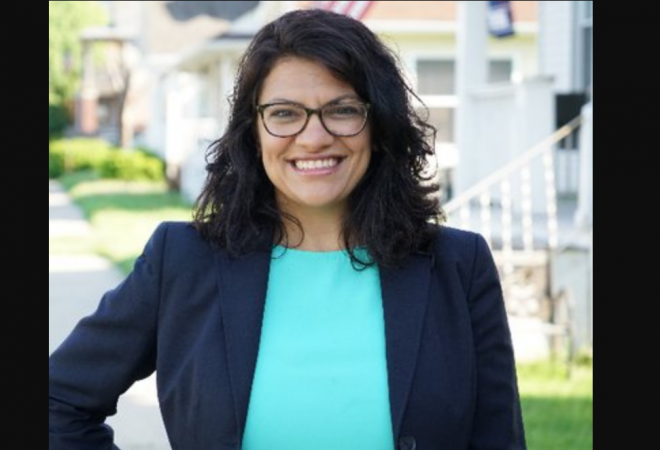 Come November 2018 and former Michigan state representative Rashida Tlaib will become the first Muslim woman to be elected to the Congress. She won the Democratic primary for a US House seat on Tuesday, August 7, after narrowly defeating Brenda Jones, Detroit's City council president. Tlaib will run unopposed in November succeeding longtime representative John Conyers, who stepped down in December citing health issues. The 89-year-old's resignation came amid sexual harassment allegations against him. After the results were in her favour early August 8 morning, Tlaib spoke to her supporters and said that one doesn't need to change who they are to contest an election. "I want people across the country to know that you don't need to sell out," the New York Times quoted her as saying. "You don't have to change who you are to run for office – and that is what this country is about." Born on July 24, 1976, Rashida Harbi Tlaib is the eldest of 14 children. Her parents are known to be Palestinian immigrants in Detroit, Michigan. Her father, born in Jerusalem, formerly worked with the Ford Motor Company and her mother is from a place near Ramallah, a city near the West Bank. Tlaib completed her education from the Harms, Bennett Elementary and Phoenix Academy. She then graduated from the Wayne State University in 1998 and Thomas Cooley Law School in 2004. She began her political career in 2004 with an internship to state representative Steve Tobocman. Tobocman then encouraged the politician and attorney to run for the seat he was vacating. Tlaib is also the first Muslim woman to serve in the Michigan Legislature and the second Muslim woman to be elected to any state legislature in the US. After leaving the state legislature, she worked at Sugar Law Center, a Detroit non-profit that provides free legal representation for workers. While Tlaib is known in the political circuit for her work, she also made headlines in 2016 for shouting at Donald Trump at a Cobo Centre luncheon and asking him to return a Purple Heart as he hadn't earned the medal. A Purple Heart is awarded to those wounded or killed in any action against an enemy of the United States. After being ejected from the venue, she said that Trump did not love anyone but himself. "He doesn't love Detroit. He doesn't love no one who isn't Donald Trump," the Detroit Free Press quoted her as saying. She went on to explain that she was protesting Trump attitude and mentality in regard to immigrants and Muslims. After her victory in the August 7 primary, she challenged Trump and said: "'I don't know if he's ready for me," reported the Associated Press. Tlaib also promised to stand up for her supporters and assured them that she would fight racism. "I will uplift you in so many ways," she said, adding: "Not only through service but fighting back, against every single oppressive, racist structure that needs to be dismantled, because you deserve better than what we have today in our country."